Frustrated always having to rely on using your glasses or contact lenses to see? Are your glasses getting in the way of your career? Want to wake up and see your alarm clock? 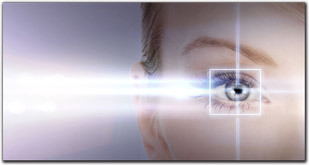 Refractive surgery may be a good choice for you! At Stoughton Eye Care & Eyewear your vision and ocular health will be carefully evaluated to see if you would be a good candidate and we will take the time to fully discuss what your best options are. Both Dr. Skjolaas and Dr. Lindell will walk you through the process and will be with you during your pre and post-operative care. We have partnered with Dr. Louis Probst at the TLC Laser Center in Madison, who is one of the most respected and experienced LASIK surgeons in the World. TLC Laser eye center utilizes the latest bladeless laser technology and provides a lifetime commitment for your vision outcome. Your vision and ocular health is our number one priority, and with the TLC team and ours we are confident you will get the best care available. Call us today to become one step closer to seeing clearly and feeling spectacular!